My mother is 5’10, caucasian, with eyes bluer than the sky. My father is barely 5’6, which is tall for a Filipino, with eyes the color of coffee. I am 5’5, half Filipino, half mutt, with eyes the color of poop. When I was growing up, I lived in a mostly white, suburban neighborhood and attended a mostly white, upper-middle class Catholic middle school. My childhood ran pretty smoothly: playing at the park with my neighborhood friends, doing my homework and practicing my piano, beating up my little brothers, babying my little sister, and occasionally getting into trouble. One of the things that I did struggle with while growing up was how to identify myself. I got made fun of for my mom being taller than my dad. I was half white, but the white kids didn’t see me as white. I got made fun of for being brown so I started hanging out with the three other Asian girls in my class, all of whom were adopted and 100% Asian. But I was only half Asian. I remember asking my mom if she was sure that I wasn’t adopted to which she responded by pulling out my baby photos with pointing to the ones where she held my newborn-self in the hospital. However, I remained skeptical. For some of you readers, this may seem like a pretty big hardship, for others, this may not seem in the slightest bit a trivial matter. I remember someone telling me a while ago, that God gives you what he knows you can handle. For me as a child, my heritage and the color of my skin was something to be ashamed of. This was my cross to bear. 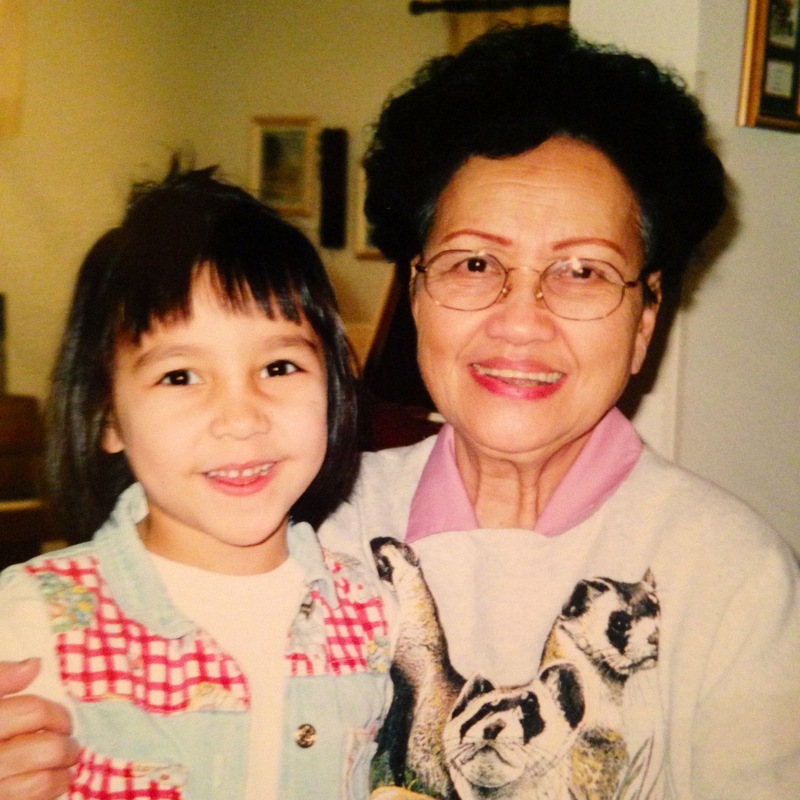 My grandmother Lola and I back in the good ole days. Suffering is not something to be identified with. We each have our own crosses to bear. However, there is something about the suffering of Jesus that is good news and a sign of liberation for the oppressed. Rev. Jon Sobrino S.J. gave a commencement speech to a graduating class at Regis University. During it, he said that in order to be successful in life, one must be human. In order to be human, we must transform the reality of ours to one of life rather than death. He asks the graduating class if they bring justice to society. What have you done to put someone on their cross? Have you looked away? Did you not care? Did you put the nails in yourself? He demands that temporary care is not enough, but that you are called to liberate them from whatever is making them suffer. When we see the problems that our brothers and sisters around the world face Sobrino reminds us to think: What have we done? What are we doing? What are we going to do? Hope is on the dreamers and the ones who live.